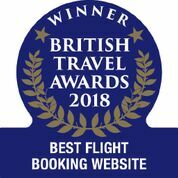 London, November 29th, 2018– Opodo.co.uk has been announced as the winner of ‘Best Flight Booking Website’ at the 2018 British Travel Awards. The announcement was made on 28th November at a glamorous Gala Awards ceremony, held in London and attended by more than 800 travel industry people. This is the fourth year in a row that Opodo has won ‘best flight booking website’, which are voted for by members of the British public. Robert McNamara of eDreams ODIGEO, the parent company of Opodo, comments: “To win such a prestigious award for the fourth year in a row is testament to our dedication to our customers’ wishes. Our customers’ satisfaction is at the heart of our service and, as we look to the future, we will continue to offer the most convenient and flexible travel options on the market”. Leading online travel agent Opodo.co.uk was named Best Flight Booking Website 2015 and 2016 in the prestigious British Travel Awards. With a presence in 16 countries, this pioneer of online travel offers deals from over 600 airlines and over 1.7 million hotels to make it as quick and easy as possible for an increasing number of consumers to find the best value and most convenient travel options; getting them to more of the places they want to be. eDreams ODIGEO is one of the world’s largest online travel companies and one of the largest European e-commerce businesses. Under its four leading online travel agency brands – eDreams, GO Voyages, Opodo, Travellink, and the metasearch engine Liligo – it offers the best deals in regular flights, low-cost airlines, hotels, cruises, car rental, dynamic packages, holiday packages and travel insurance to make travel easier, more accessible, and better value for the more than 18.5 million customers it serves across 43 markets. eDreams ODIGEO is listed in the Spanish Stock Market.